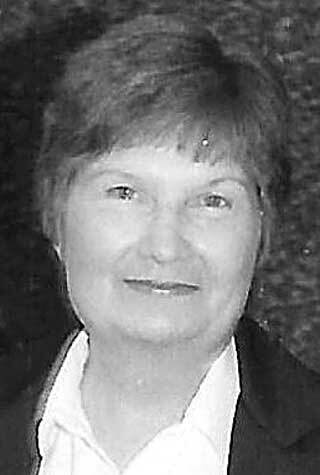 Wanda “Bess” Deskins Nelson, age 89 passed away July 26, 2018 in New Smyrna Beach, FL. She was born July 3, 1929, in Akron, Ohio to parents, Gaston and Dorothy Deskins, both deceased. She is predeceased by her husband of 61 years, Raymond Nelson, her son Martin Nelson and brothers, Ronald E. Deskins, James W. Deskins, and a sister Margaret A. Wilcox. Mrs. Nelson is survived by her children, Marcella Carter (George), Ormond Beach, FL; Michael Nelson, New Smyrna Beach, FL, Catherine Nelson, New Smyrna Beach, FL and Angela Ferguson, a very dear friend and like a daughter; two grandchildren, Kale William Carter (Toni), Massachusetts and Lindsay Renee Carter (Sean Gravel), Daytona Beach, FL. Also surviving are, brother, Michael D. Deskins (Sherry), Belpre, Ohio, and sister, Hannah Myers (Blaine), Parkersburg, West Virginia, and several nieces and nephews of Ohio and West Virginia. Mrs. Nelson retired from Daytona Beach Community College (now Daytona State College) after 15 years in student services at South Campus, New Smyrna. She enjoyed working with the Junior Girl Scouts in New Smyrna Beach, and the Barracuda Athletic Boosters Club, of New Smyrna Beach. A Celebration of her Life will be held at Settle-Wilder Funeral Home on August 18th. Formal Service will begin at 2 p.m. with the Reverend Mark Spivey, officiating. In lieu of flowers, the family requests donations be made to the Halifax Health Hospice Edgewater, 4140 S. Ridgewood Avenue, Edgewater, FL 32141 or Breast Cancer Research Foundation, 60 E. 56th St., Fl 8, New York, New York 10022.